Comilla Victorians thrashed Chittagong Vikings by 33 runs in the 33rd match of the AKS Bangladesh Premier League (BPL) T20 held on Wednesday at Zahur Ahmed Chowdhury Stadium. The victory came with the help of a captaincy knock by Darren Sammy followed by Kazi Anik's fierce bowling spells. Anik finished his spell with an impressive figure of 4 for 17 in 3.2 overs to dismiss Chittagong Vikings after Rahshahi Kings set a winning target of 158 for Chittagong. Chittagong suffered early batting jolt and they lost their wickets in regular intervals in the face of disciplined bowling attacks by the Rajshahi Kings bowlers and eventually dismissed at 124 in 19.2 overs. 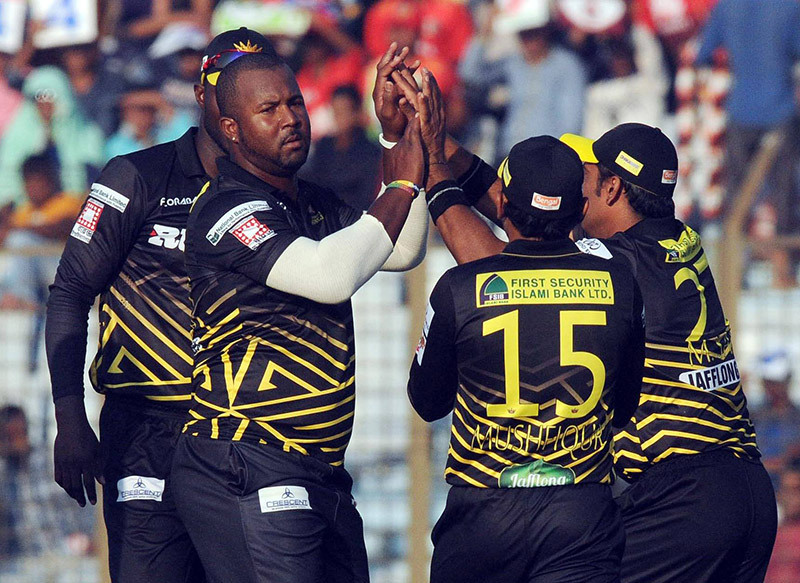 With this victory Rajshahi Kings secured eight points from 10 matches while bottom-ranked Chittagong Vikings remained at their previous credit of five points playing the same number of matches.